Most people who approach us with a large project in mind are looking for something different, for something special. 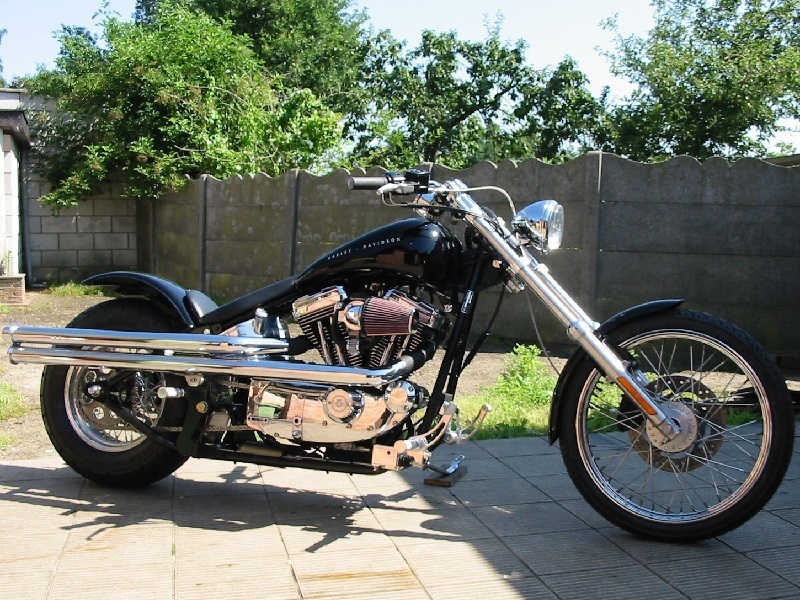 This customer wanted us to build him a Sportster 1200 in a Softail frame but only if we could install long, high-mounted drag pipes with a deep throated sound, and a few other specifications. We set about creating the motorcyle he wanted. 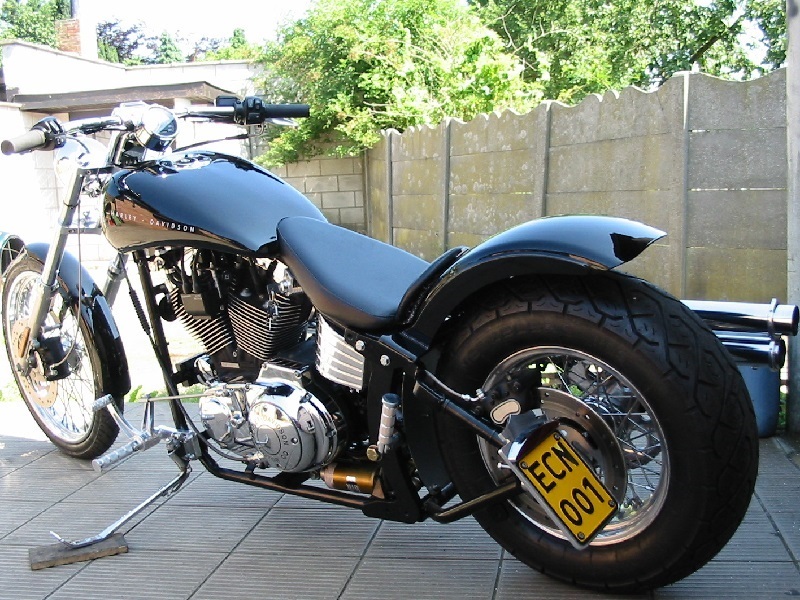 We found a 2000 XLH 1200 (from an accident – the rear end was demolished) and built the engine into a SCS XL Softail X-Wide 40° frame. 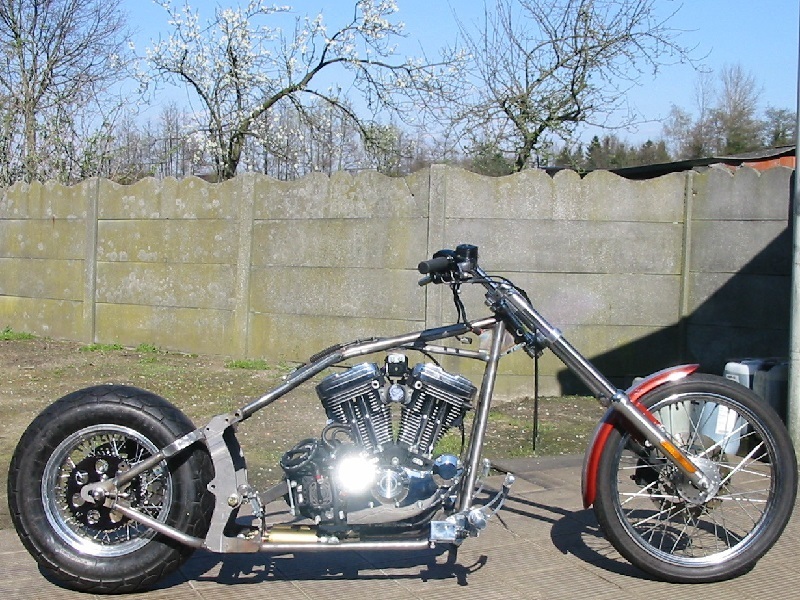 We used the original front wheel (and a few other parts), and added a new Akront 15 x 5.00” rear wheel with a Metzeler 170/80-15 ME880 rear tire. 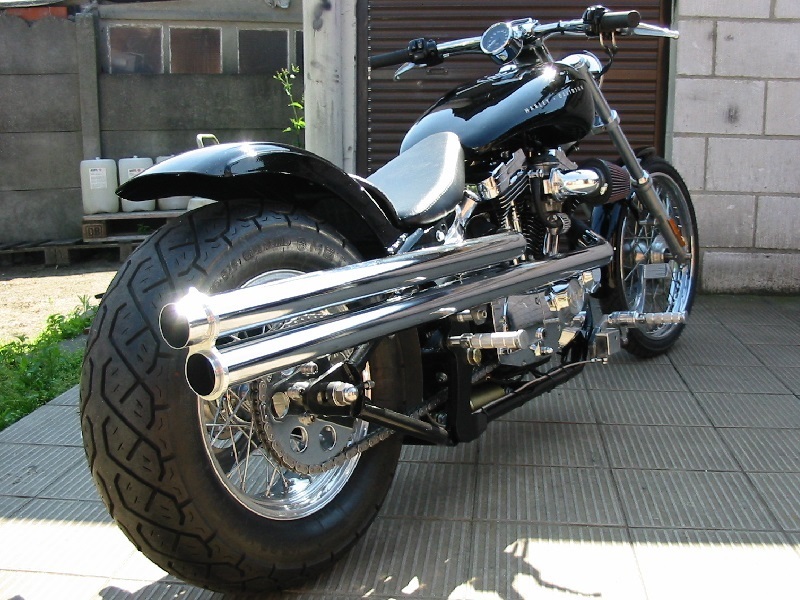 Progressive Suspension Adjustable Shocks, a MCS 6° polished 39mm Triple tree, a one-piece stretched fuel tank with an aerocap and a 8.5” wide flat fender were also added. Our customer opted for RST forward controls and passenger pegs, and a Forcewinder XR Air Intake System with carb support and a breather kit. 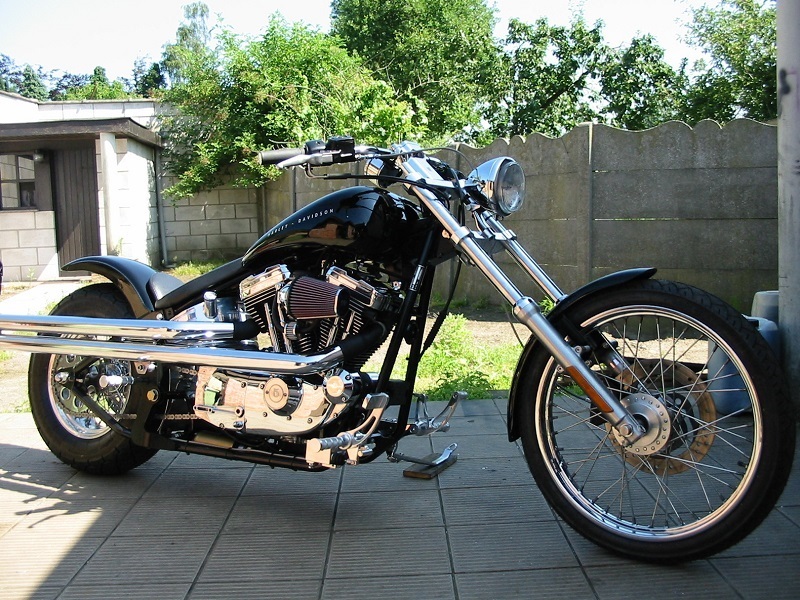 Until now, our customer was perfectly happy with everything, so now came the crucial moment : to find the right exhaust system. 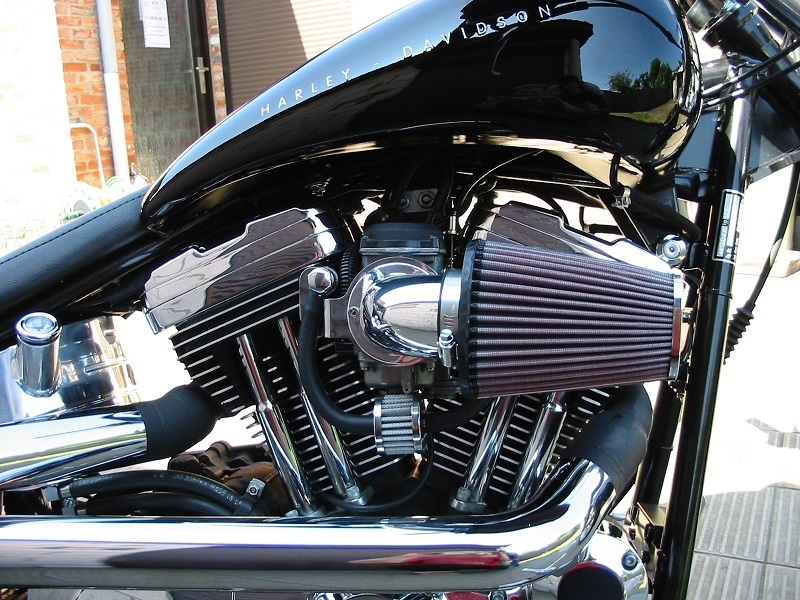 We installed Long Low 2 1/4” Porker Pipes for a Bigtwin, and with a few modifications, they became Long, “High” pipes for a Sporster with a great sound ! Because the drag pipes were so long, we decided to add an extra support and designed a CENTREM-made support spacer with a “sight”. Our customer was very pleased! 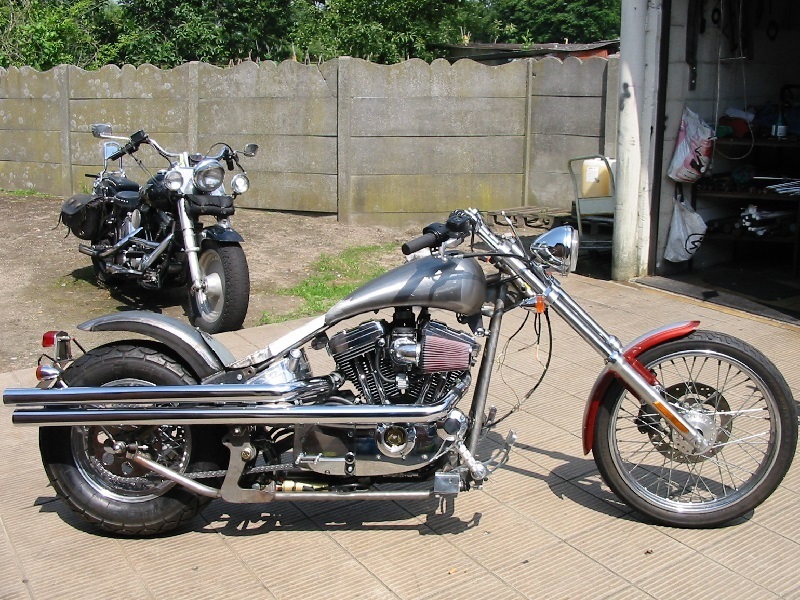 Finally the bike was ready for it's test run, and afterwards it was dismantled for the paint work. 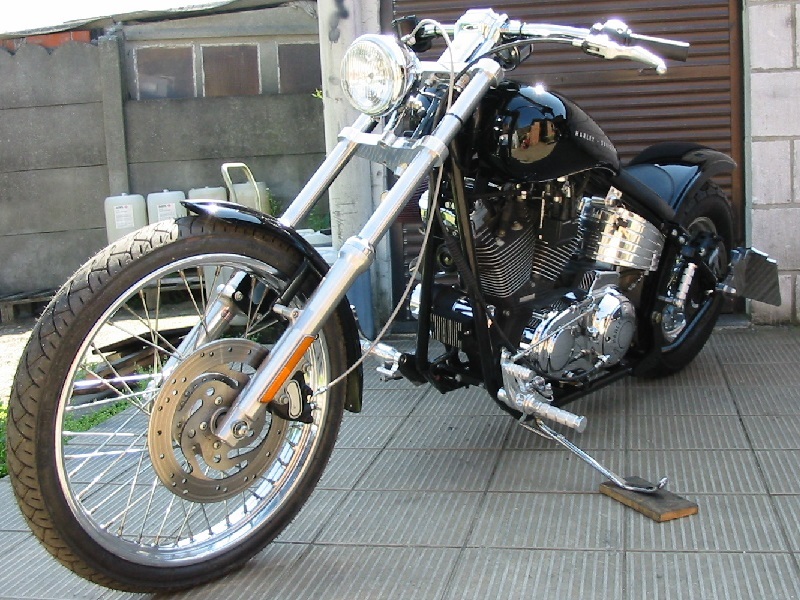 The motorcycle was then reassambled, rechecked and was then ready for the technical exam. 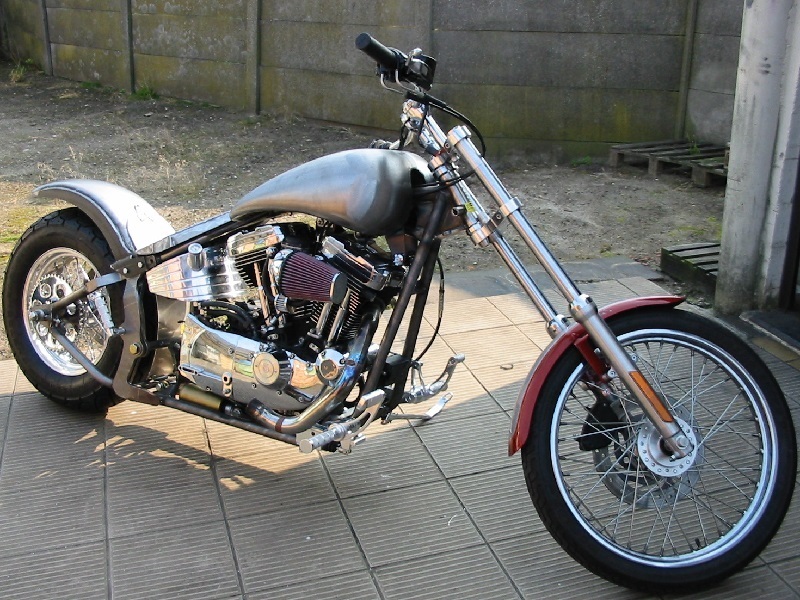 After successfully passing the test, our customer received the documents to register his new bike. 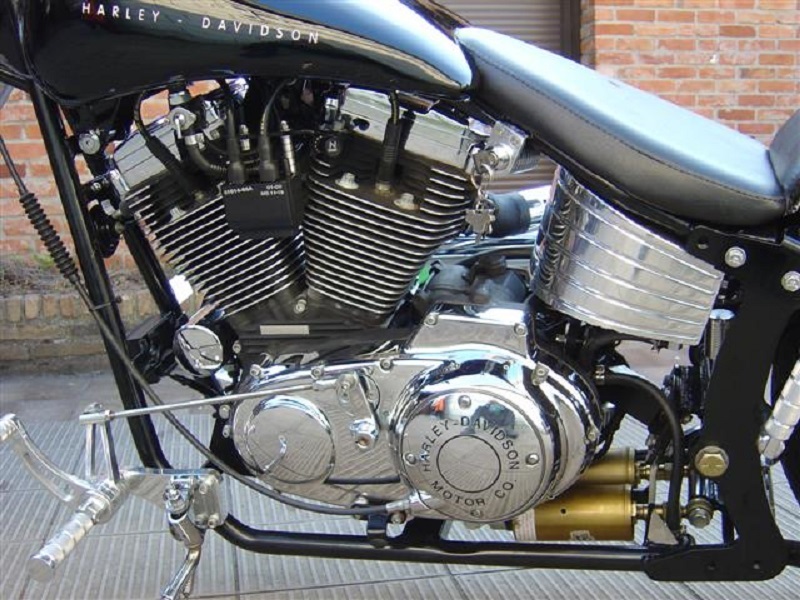 The CENTREM-made side-mounted H-D style license plate holder was ready to receive the new license plate. 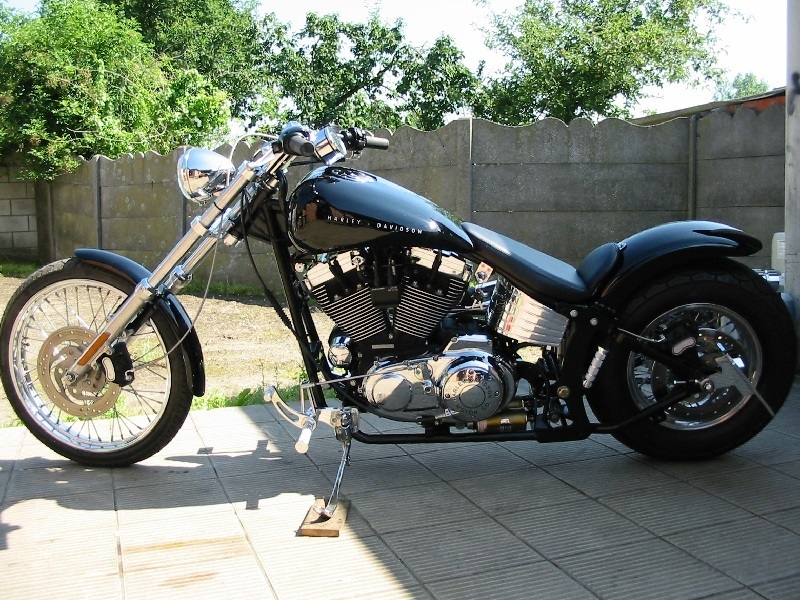 Our customer loved his bike but he did eventually complain about a very “hot ride”! 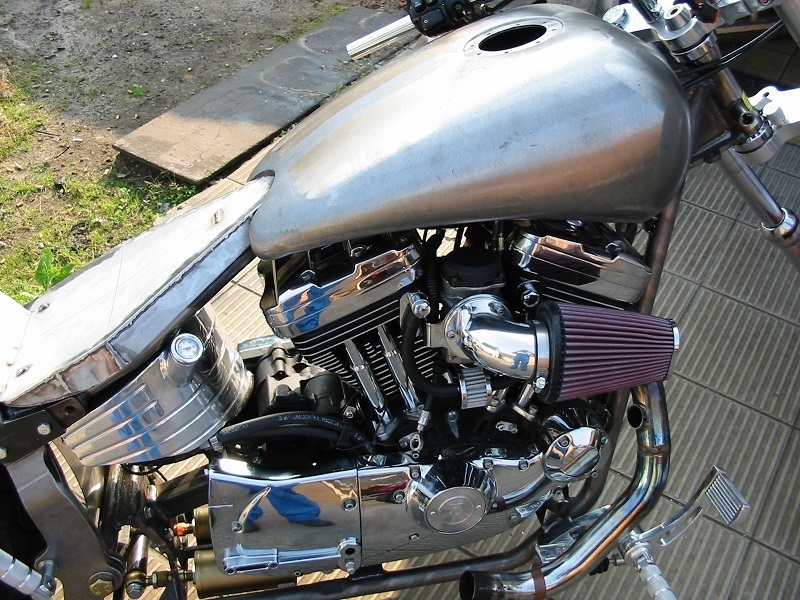 Even with heat shields, an exhaust does become very warm.